Business Consulting – ABRAHAM Business Solutions, P.C. Starting a new business requires making a series of key legal/ financial decisions that can affect the taxation and/or profitability of your business down the road. Navigating the path to success is much easier when you have access to dependable financial guidance from an accounting professional. 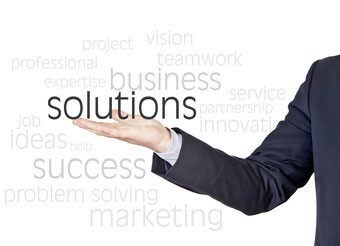 As your trusted business advisor, Abraham Business Solutions, P.C. can help get your business off to the right start. The way you incorporate can have strong financial repercussions or larger than expected tax exposure. Selecting the right structure can contribute to your success but selecting the wrong one can end up costing you a lot of money. Abraham Business Solutions, PC understands the advantages and disadvantages of each type of entity and how to determine which one is right for a business of your size in your industry. We’ll work with you to identify the entity that will help your business minimize its tax burden and maximize profits in the years to come. A LLC is somewhat like a corporation or a partnership. The LLC protects the owners or members from personal liability for the company’s financial obligations but it’s usually treated as a non-corporate business organization for tax purposes. A LLP includes general partners who have management authority and limited partners who invest cash in the company. General partners have personal liability for the firm’s obligations, while limited partners are liable only for their investment. A Limited Liability Partnership is commonly formed with a C or S corporation as a general partnership, and it is not a separate tax-paying entity. A C corporation is a separate legal entity, so its owners or shareholders have no personal liability for the company’s financial obligations. The corporation is taxed on its income, and shareholders also must pay taxes on any dividends or income they receive. Like a C corporation, an S corporation is a separate legal entity, but it differs in that while shareholders are taxed on income they receive from the company, the corporation itself is not taxed. However, a company must meet strict legal requirements to qualify as an S corporation. To enable you build a business venture of your dream you will need to build your business credit after forming your business entity, you need capital. To assist you in this objective, we have also partnered a provider of business credit and loans for small business to offer you a unique platform to grow your business. This will help you with all aspects of setting up a credible business and building your business credit profile and score. For more information on this click on Business Credit & Financing website. We also act as company’s registered agent registered in the same state in which your business entity was established and will be designated to receive service of process notices, correspondence from the Secretary of State, and other official government notifications, usually tax forms and other legal notices. In addition, we can also help your firm with minutes of meetings, agreement, share transfers etc. To help healthcare providers comply with the complex and ever-changing requirements and avoid suspended payments (or missed payments), we are certified to provide both Medicare & Medicaid Cost Reporting services. We understand that margin pressures make it imperative that you secure all the Medicare and Medicaid reimbursements that are due to your business. If you prepare your own cost reports, we can provide a review service that will provide a summary of observations and recommendations to enhance reimbursement in the future. Hospice, Assisted Living Facilities and outpatient services are among the fastest growing and most competitive segments in the healthcare industry. At Abraham Business Solutions, PC, we understand the complexities involved in running this type of healthcare practice, where regulation changes are the norm. Today, more than ever, your organization needs sound financial, accounting and tax advice to help your practice be successful and competitive. Our CPA professionals can offer unparalleled financial expertise whether you run a hospice or an assisted living facility. © 2018 ABRAHAM Business Solutions, P.C. All Rights Reserved.